The end of a year always makes me reflect on the months that have passed, but in December 2014 I hit the big 50 and, with an enforced rest thanks to an operation, I found myself reflecting on the relationships of my 50 years. The adage “Reason, Season, Lifetime” came to mind and it occurred to me that one of my “lifetime” relationships is one that is shared by many. From birth I had a relationship with the NHS. Like many relationships, I have been guilty of taking it for granted at times. I have also fallen out with and perhaps despised aspects of the NHS. My mother had me at home with the support of an NHS midwife: my three brothers were not impressed, one had seen it all before, the middle one wished to finish his “Just William” book and the youngest was inconsolable to discover I was not a train! My involvement with the NHS went through the normal routines of childhood which we have come to expect; vaccinations, boosters and German measles; but I had further contact because my father was a neurosurgeon. He was proud of working for the NHS and to know that he was part of such an amazing organisation. On Sundays I would be taken to the hospital with my dad for his ward round: the nurses were so patient with me and so were the patients I met. The Western General in Edinburgh felt like a second home in many respects; the distinctive smell of hospitals is reassuring to me where I know others find it disturbing. 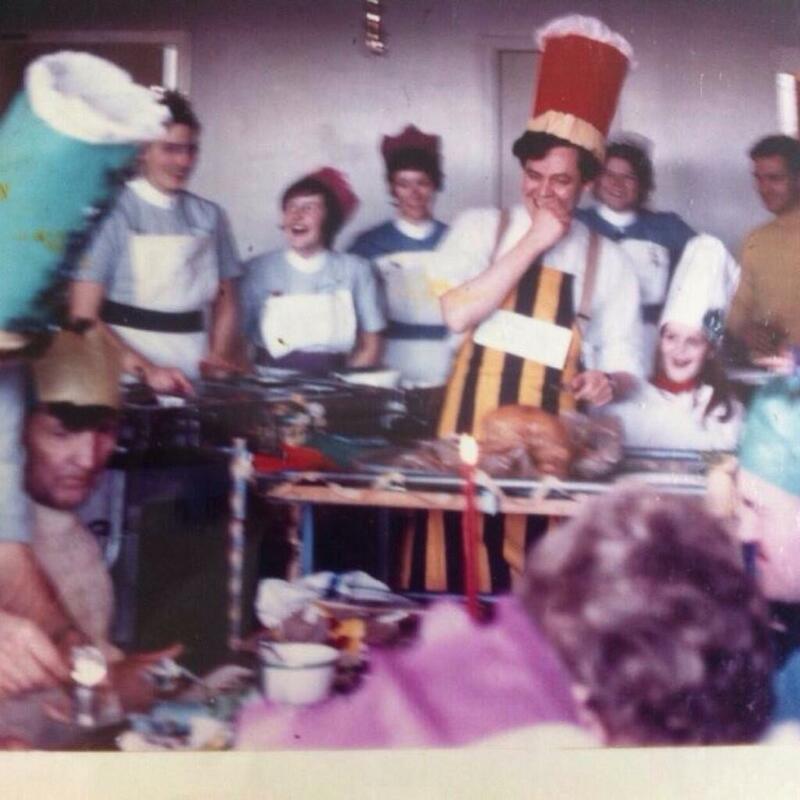 Christmas Day was one of my favourite days, Church, hospital, ward lunch served by doctors and nurses to the patients who were still in over Christmas. I didn’t go into Healthcare after school but went down the arts route. However, I still heard my father’s stories about patients he admired, staff whom he worried about and the irritation he felt about the increasing bureaucracy and his anger at being told to restrict all appointments to 10 minutes regardless of the content of the appointment. Needless to say, he ignored this. I realise now where much of my rebellious and stubborn streak may come from. I started training to be a nurse in 1992 as a mature student. My father laughingly advised me not to enter theatre as I would drive the consultants mad! He didn’t live to see me ignore his advice and become a theatre nurse. Theatre, and nursing felt like coming home. As I rose through the ranks a different relationship formed with the changing NHS. I saw different attitudes toward health professionals at different hospitals and I became increasingly aware of the pressures brought to bear on those who work in the NHS and the differing views of the general public toward the organisation. Having been brought up with a positive view of the purpose and ethos of the NHS, when I reached a clinical management position, I believed my role to be representing the good of the patient and supporting those in my department and beyond. Naïvely I believed the NHS would support me and I was wrong. Highlighting issues and being something of a non-conformist had brought me the wrong kind of attention and I found myself removed from post with no reason provided. My career was ruined as was my self esteem. even worse the NHS suddenly felt like an enemy, a trusted friend who had turned against me. I was offered an admin job with a company I had used in my previous post. I still had contact with the NHS through my work. It was as I discussed what had happened with my lawyer that I realised, I still believed in the importance of the NHS. I applied for a very different role at a different hospital and through the stubborn determination of my current boss to whom I remain eternally grateful, was appointed a month before my 3 year battle over constructive unfair dismissal ended with a settlement. I have been back in the NHS fold for nearly 3 years and feel that it is time for yet another shift in our relationship. The NHS needs support and I am filled with positive enthusiasm when I see my own belief reflected on social media by the likes of @wenurses @hcvoices and Helen Bevan. The NHS has been there for me from my birth and I want to ensure it is there for future generations. I owe much to the NHS and now it is my turn to help during an unsettled period. This time though, I plan to rock the boat without losing my balance!